Judge Donna McCabe Schaeffer of the Circuit Court for Anne Arundel County will be sworn in by Governor Hogan at the Investiture Ceremony on Tuesday, January 12, 2016 at 5:00 PM in Courtroom No. 4C of the Circuit Court. At Council Baradel, Ms. Schaeffer’s practice concentrated in all areas of civil and family law, including divorce, child custody and visitation, adoption, guardianship and administrative hearings. 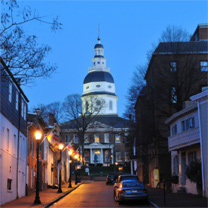 Ms. Schaeffer has been trained in collaborative law and as a mediator, is a member of the American Bar Association, the Maryland State Bar Association, the Anne Arundel County Bar Association and the Anne Arundel County Women’s Bar Association. She also recently served on the Anne Arundel County Ethics Commission.